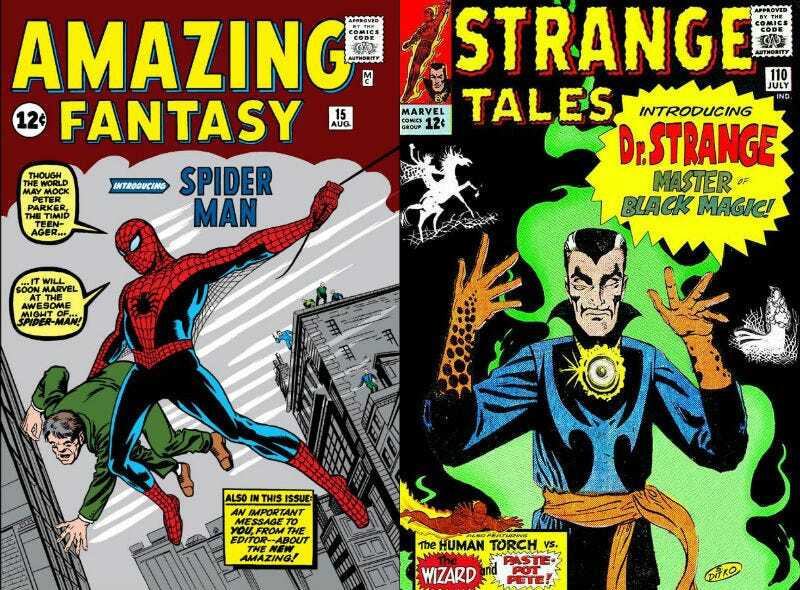 Amazing Fantasy #15 and Strange Tales #110, books that featured the first appearances of two timeless Steve Ditko characters. According to The Hollywood Reporter, Ditko was found in his New York apartment on June 29, but was believed to have been dead for up to two days before that. Ditko was best known for creating Spider-Man along with Stan Lee in 1961, and also co-created Doctor Strange with Lee in 1963. After that, he left Marvel for reasons that remain mysterious to this day, and went to work at DC (where he had popular runs on Blue Beetle, Captain Atom, the creation of The Question and the short lived Shade the Changing Man, and many other notable moments) and several other companies. He continued to create memorable characters including the popular Squirrel Girl in the early 1990s, before mostly retiring from comics by the end of the ‘90s. Though many of his characters remain favorites to this day, Ditko was one of the more reclusive comic book creators. He rarely did interviews or put himself in the public. There aren’t many recent photos of him. Nevertheless, his influence on the comic book landscape through Spider-Man alone—the visual iconography of what is now one of the most successful and beloved superheroes on the planet—was enough to cement his place in history. His contribution to the comic book industry can never be overstated, and he will be dearly missed.